Waffles, we think you have marvelous feet! Funny, that's what Binga says too! I think it are Waffles you're gettin ready to whap. 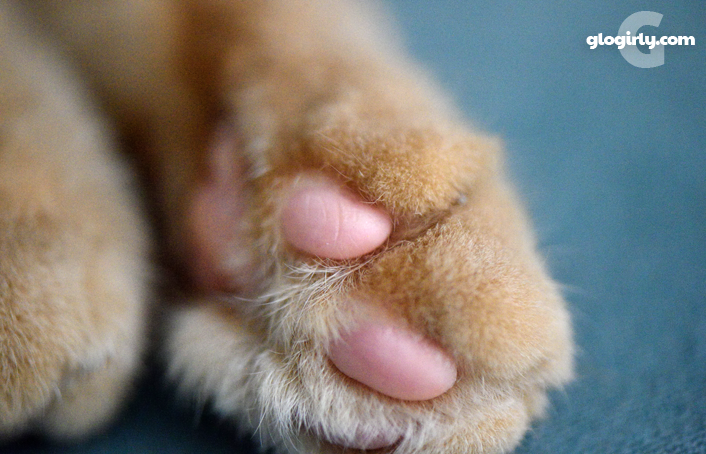 Waffles, I think that dainty paw of Katie's could plant a whopper on your ginger person!! Katie, you have perfectly dainty toesies. And Waffles, you have to have big feet to launch you into all of your mischief, right? They have perfectly proportioned feets. I think size does matter in a way. Every polydactyl cat I've met has had a very nice personality. My sweet Tommie has enormous feets! 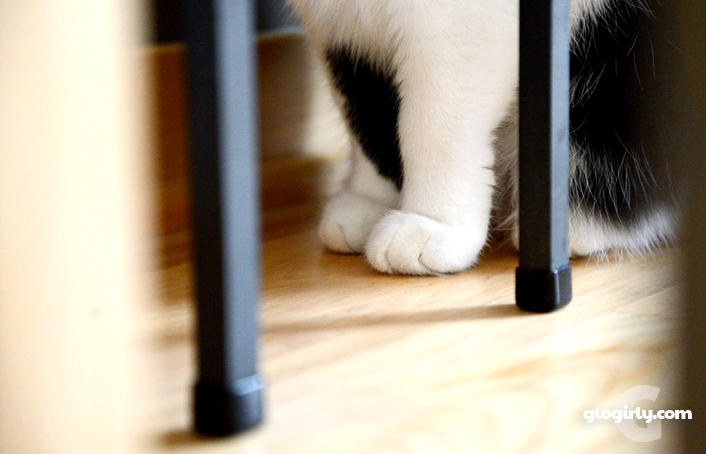 You kitties have the most adorable toes!!!!! Interesting day! Ha! Had no idea there was a measure your feet day! We see some itty, bitty claws of doom Katie! Meowm wants to smooch your feets! Chalk another one up to Katie! Did Waffles understand that one, though? Remember those dainty paw prints on the counter top the other day Katie? Good answer, Katie. 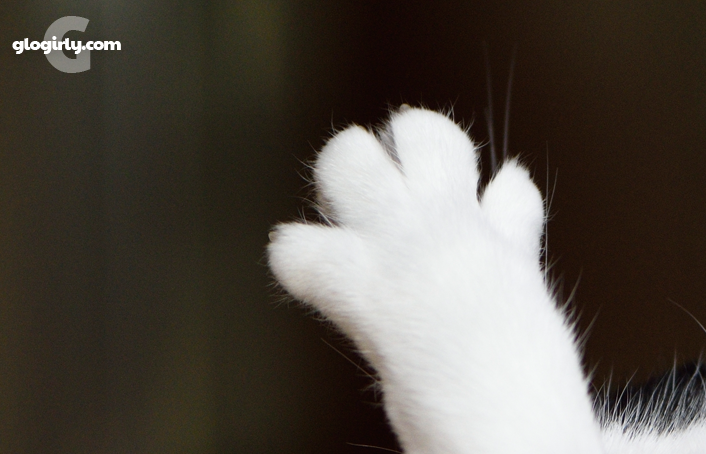 Our mommy likes large paws and most of us have them, especially Giulietta, The humans call paws as big as hers, meathooks. MOL! Hope you will join us Sunday for our Selfies Blog Hop. XOCK, Lily Olivia, Mauricio, Misty May, Giulietta, Fiona, Astrid, Lisbeth and Calista Jo. Miss Katie you also have the purrfect pawicure! Careful Waffles, it sure looks like Katie is armed and dangerous! Waffles, if I were you I'd use those big feet to make some tracks! Yeah Waff..It's not the size of the paw..It's how hard you can whap with it..right Miss Katie? Watch out Waff, you may be getting a giant size whap! 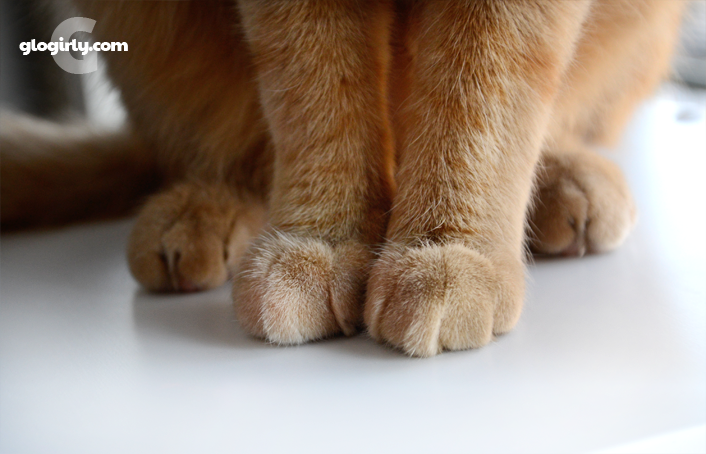 Your paws are just the right size for whapping. Good point well made Katie!